The Heirs, a Novel by Fran Hawthorne, Stephen E. Austin State University Press, 2018, 234 pp. The Whole Megillah (TWM): What inspired you to write this novel? 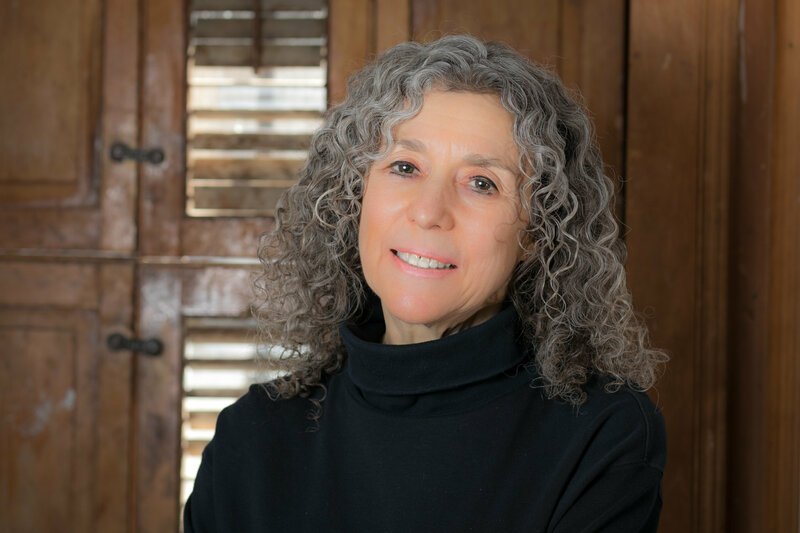 Fran Hawthorne (FH): As an American Jew, I knew that I was extraordinarily lucky that my father, his sisters and their parents got out of Poland in November 1937, and yet — growing up assimilated, suburban, middle-class — my generation pretty much took that survival for granted. My father didn’t talk about his childhood, and the only Polish words he taught us were a couple of mild obscenities. Then, when my son was in first grade, there was a boy in his class whose parents were Polish Catholics, born and raised in Poland. And I found myself, almost against my will, fascinated by the same sorts of questions that haunt Eleanor in The Heirs: “What did your grandparents do to my grandparents in Poland?” When I compared notes with other American Jews, I realized that many of us share these conflicted feelings, but I could find no novel that spoke to that second-generation dilemma. TWM: You mention in your acknowledgments you wrote several drafts. How did the manuscript change? TWM: What were the greatest challenges in writing The Heirs? FH: I had to do an enormous amount of research into unfamiliar topics, so the workload was overwhelming. But that was also an easy challenge, because I’d spent my career digging for facts, as a journalist and nonfiction author. The more difficult challenge was that this was my first novel. Unlike with my nonfiction books, I had no interview notes or documents as a starting point: It was all up to my imagination, to create Eleanor’s world. TWM: What were the greatest satisfactions? TWM: I found myself chomping at the bit to know Rose’s shtetl name. What was your process for the pacing? FH: I hope it was a good, page-turning chomping for you (and not an annoyed chomp)! Of course Rose set the pacing for her story. She had to begin with the least-painful tidbits, like her school and her brother’s soccer games, before she could work her way to the deeper memories. TWM: Please talk about the historical research you conducted for the novel. FH: Fairly early into this project, a couple of my cousins invited me to join their synagogue on a trip to Poland, Hungary, and the Czech Republic. So not only was I able to actually walk around Poland — including visits to my father’s and grandmother’s childhood homes — but the tour leaders also gave us a lengthy reading list of books about prewar Jewish culture and postwar anti-Semitism in Eastern Europe. That was just the first step! In addition, a friend who’s a Holocaust survivor from Hungary introduced me to a local survivors’ group. I also interviewed my own family members and pored through Yizkor books online. (These are recollections from Jewish communities in Eastern Europe that were published after the war.) Of course I went to museums such as the U.S. Holocaust Memorial Museum in Washington DC and the Center for Jewish History and the Museum of Jewish Heritage in Manhattan (as well as Auschwitz and the POLIN Museum of the History of Polish Jews, during my time in Poland). Because I write book reviews for the New York Journal of Books, I have access to a wide array of publishers’ catalogs — and believe me, I reviewed every Holocaust-related book I could get. One more example: Living in New York City, I can easily hop a subway to the Polish-Catholic enclave of Greenpoint, so I spent a few lovely hours “researching” Polish desserts. TWM: Which writers inspire you? FH: There are so many fantastic writers — from classic-classics to modern-classics. I recently re-read Anna Karenina, for instance, and was blown away by Tolstoy’s range: He draws a sweeping portrait of Russian society, and then he homes in on Anna as she watches Vronsky crook his finger. As a teenager, I discovered The Grapes of Wrath and The Sound and the Fury, and I still get chills at the memory of certain scenes (like the waitress in the coffee shop in The Grapes of Wrath and of course the opening pages of The Sound and the Fury). Among the moderns, my favorite novels include Possession by A. S. Byatt, The History of Love by Nicole Krauss, A Visit from the Goon Squad by Jennifer Egan, Commonwealth by Ann Patchett, and — a new release that I’ve just reviewed for the New York Journal of Books — Gone So Long by Andre Dubus III. TWM: Would you recommend a university press for publishing fiction based on your experience? 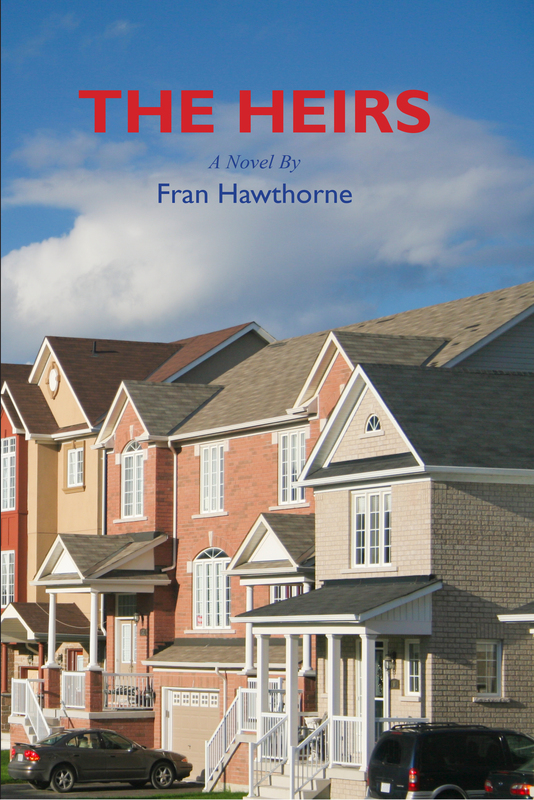 TWM: What’s next for Fran Hawthorne? This entry was posted in Authors and tagged fran hawthorne, stephen e austin state university press, the heirs. Bookmark the permalink. Hi Barbara, Fran’s book sounds riveting. The research is daunting, the story fresh. And it’s always important to remember and honor this history. Thanks, as ever, for the Whole Megillah. Shava Tova! Sheila Lewis, editor for “Joe’s Violin: A Survivor Remembers,” by Joseph Feingold. Thanks for the quick reply, Fran!